Blades are made of special steel products, with hardness of 52, durable in use. 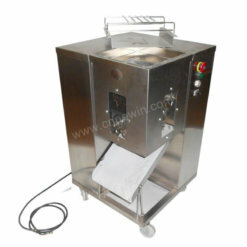 High-speed Vertical Meat Slicer can cut fresh and cooked meat into slices and strips. 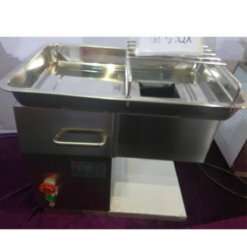 If you need cut different thick meat, just install the corresponding cutter. The cutter gap is customizable. 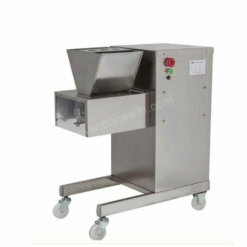 The easy-to-use operation, convenient washing, and dismounting, time and labor saving. 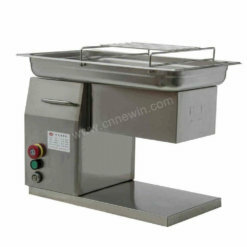 Apply to Large-scale restaurants, catering chains, meat processing industry, school and factory’s canteen. 1. Blades are made of special steel products, with a hardness of 52, durable in use. 2. 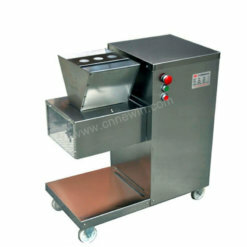 Cutter is adopted external hanging design. 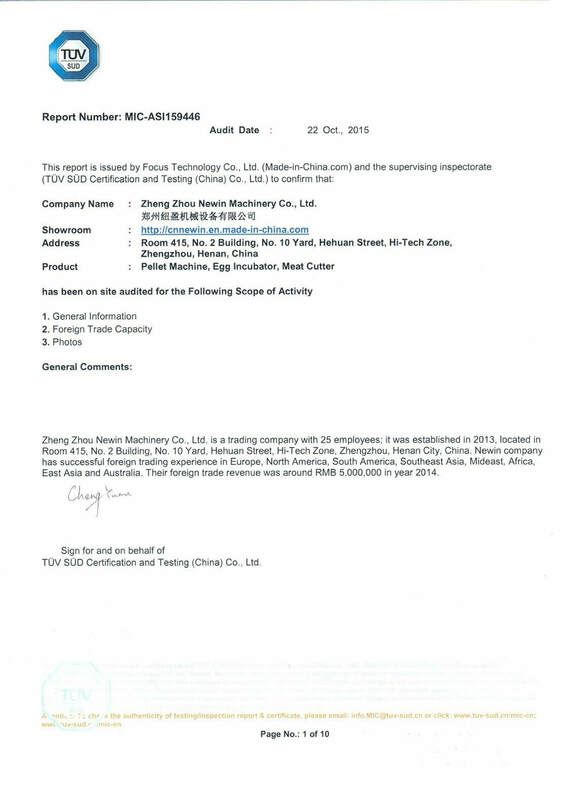 Revolving speed of rotating part is changed for the second time by a leather belt and motorcycle chain. 3. Inside the machine exists safety switch. When cutter exposure outside, it locks automatically to ensure safety. 4. 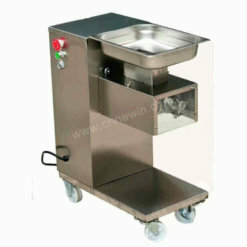 At the bottom exist wheels, moving flexibly and using conveniently. With its emergency stop button and safety cover, this one is truly a remarkable option to consider. 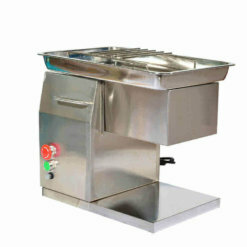 Nevertheless, this machine will never ever start working without cover or having the cover set in the right position. 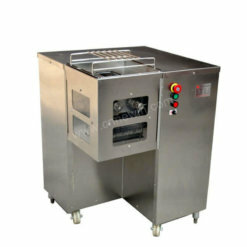 The machine could still be stopped immediately if an urgent situation arises. 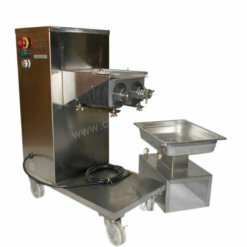 This machine can be placed exactly anywhere that you want to operate it. This is very convenient and small to place to the floor or to the table. 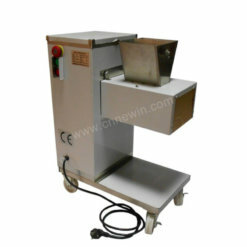 Instead of choosing for other options of a meat cutter, it is a lot better to consider our meat cutting machine. This is somehow easy for you to operate. This can be used right after the power is on. The machine is also easy for you to use to cut the meat or to slice it in the cube. 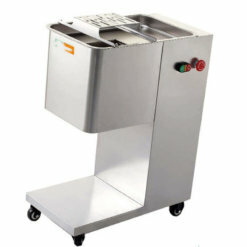 It cuts all kinds of sliced meat, fresh meat, diced meat, and shredded meat. 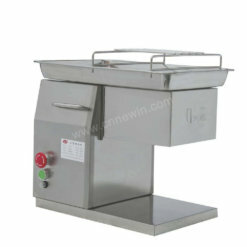 With its beautiful stainless steel body and blade, this is just a remarkable option of meat cutter to consider. This is made of stainless steel and of blade material. This does not also poison the meat. 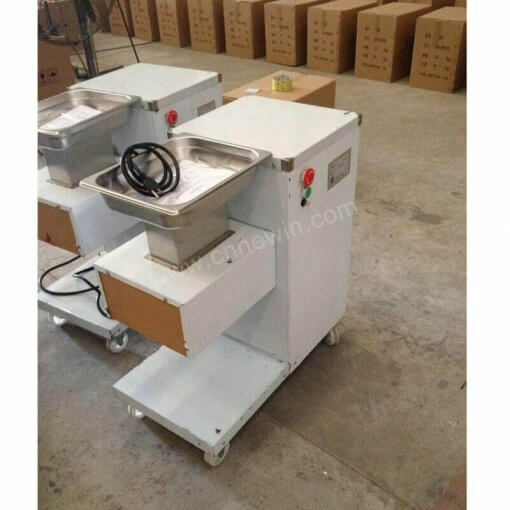 With all the features and benefits that Easy Operation Stainless Steel Meat Cutting Machine can offer, expect it further that it can be a beautiful and safe choice for you. This is also highly efficient and this is just a good helper when it comes to meat processing.